King Kong celebrated a milestone at the Broadway Theatre on February 6: 100 performances! Stars Eric William Morris, vlogger Christiani Pitts and Erik Lochtefeld as well as director/choreographer Drew McOnie gathered together with the show's company to enjoy a gigantic cake whipped up by Cakes with Character. Take a look at the shots, and then go experience the larger-than-life production for yourself! 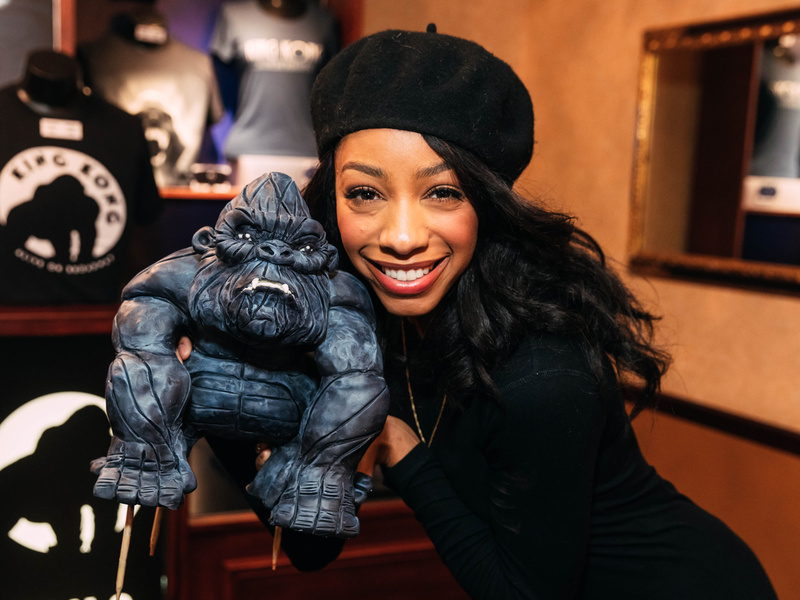 King Kong's leading lady Christiani Pitts poses with tiny Kong. 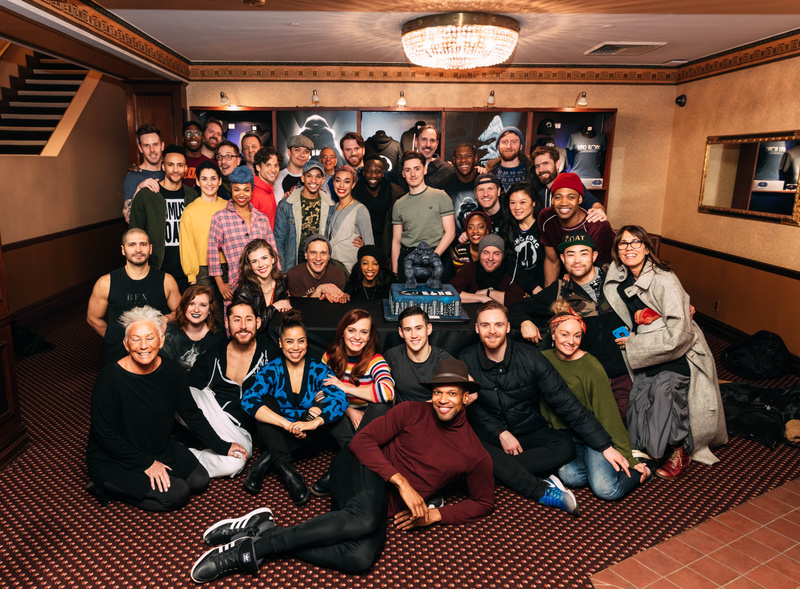 Congrats to King Kong's talented company on 100 performances! Catch them in the thrilling production at the Broadway Theatre.